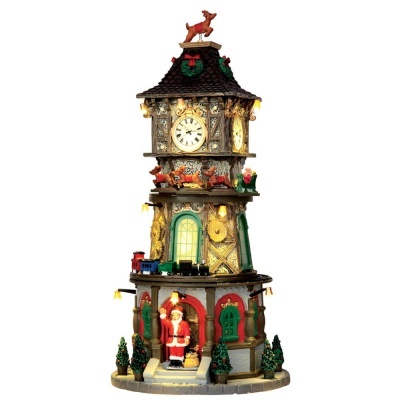 Lemax Christmas Clock Tower musical table piece depicts an olde fashioned illuminated timber Clock Tower seasonally decorated with a rotating Santas sleigh and train set to delight the town folk. Santa waves at the doorway and cheerfully and vocally welcomes the local community to the Christmas show inside, whilst a musical soundtrack plays to visitors. Lemax Christmas Clock Tower is an illuminated building suitable for placement in and amongst a seasonal Lemax village Christmas scene. A unique Lemax Caddington Village collectable table piece which joined the Lemax collection in 2014. 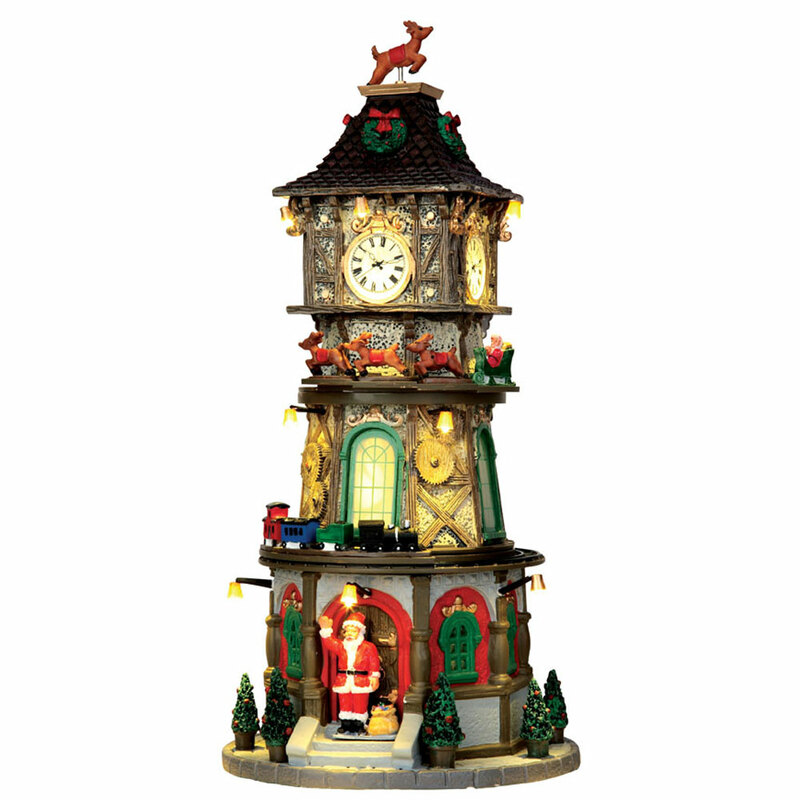 Christmas Clock Tower offers a delightful self standing resin building on an individual street base to compliment your seasonal Lemax Village.